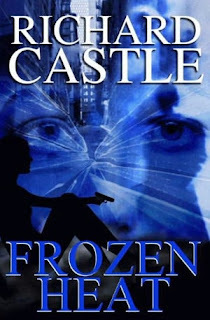 On their site, ABC released the first four chapters from Frozen Heat, the fourth book in the New York Times-bestselling Nikki Heat-series. Like previous years, multiple chapters of Richard Castle's new book will be released to keep us longing for the release date of Frozen Heat and to keep us busy in the wait for season 5 of our favorite TV-series. Curious about the first four chapter of Frozen Heat? Haven't ordered Frozen Heat yet? Will you but Frozen Heat? Did you like the other books Castle released till now?